In 2010 has been built sailboat Sun Odyssey 42 DS called BALTIX. This vessel is based in marina Castiglioncello in the area of Elba And Tuscany in Italy. 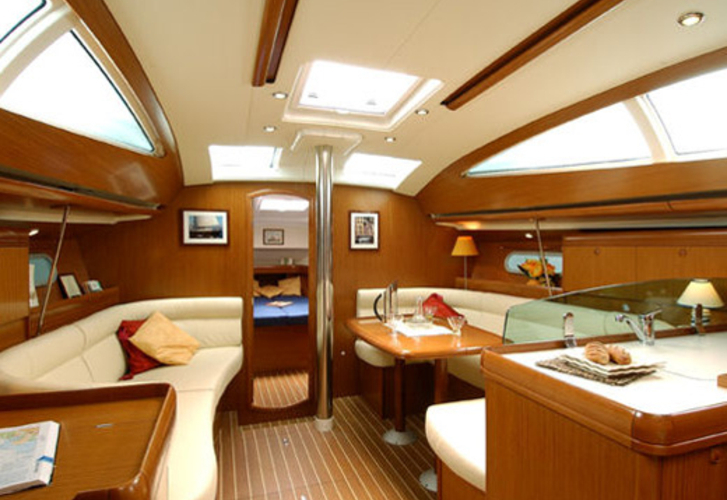 You can board up to 8 crew members on the sailing boat BALTIX. Scheme of beds is 8 (6+2) MAX 8 PAX. There are 3 bedrooms located below boat's deck. BALTIX is equipped with 2 bathrooms. 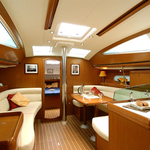 Use our website to find different boats by going to this section: Yacht charter Elba And Tuscany. Fuel tank is 150.00 l gasolio l. capacious , water tank has up to 350.00 l due serbatoi l. In this yacht there is engine Yanmar 54 CV. 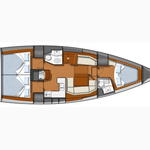 With 12.59 meters of LOA and 4.19 m of width BALTIX provides enough space for comfortable sailing. Security deposit is at the level of 3500.00 EUR. Find more yachts by navigating to the section Yacht charter Castiglioncello.